New figures released by HM Revenue and Customs have revealed a sharp rise in suspected tax credit fraud. BBC News examines the fraud problem dogging the tax credit system and what it may mean for honest claimants. How big a problem is tax credit fraud? HM Revenue & Customs said that it stopped nearly 40,000 suspect tax credit applications between April and November 2005. It does not automatically follow that all suspect applications are in fact fraudulent. But the problem of tax credit fraud, it seems, is growing. During the entire 2004-2005 tax year, 17,164 claims were stopped before tax credit payments were made because fraud or error was suspected. What is the Revenue doing to combat fraud? The Revenue argues that it is stepping up the fight against fraud. HMRC prosecuted 153 individuals in 2004/05 and has prosecuted 159 in the financial year to the end of November 2005. Another 97 cases are currently awaiting court verdicts. And the fact that the Revenue is detecting bogus applications, before payment is made, may provide some comfort. It indicates that early warning systems are in place to stop fraud in its tracks. However, a worrying aspect of the fraud is the apparent involvement of organised gangs. The Revenue estimates that more than half the suspect applications are coming from organised gangs. Fraud specialists believe the gangs view the tax credit system as "low-hanging" fruit. In short, this means that the tax credit system appeals to the fraudsters because it offers the potential of high rewards and the relatively low risk of getting caught. I am claiming tax credit. Am I at risk of being defrauded? At present, the problem seems to involve people making bogus applications rather than claimants being defrauded of their tax credit cash. However, there is evidence that fraudsters are using stolen identities to make bogus applications. Are people who work in the civil service being targeted? Last month, David Varney, the Revenue's executive director, told the House of Commons Public Accounts Committee (PAC), that as many as 13,000 civil servants' personal details had been stolen by fraudsters as part of a tax credit scam. Unions have complained that staff have been left in the dark about the ID theft and received little in the way of advice from management. Could fraud lead to delay in payment of my tax credits? The fraud phenomena already seems to be having some effect. 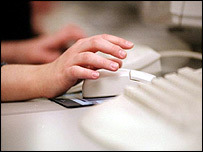 On 1 December, the Revenue was forced to close the online tax credit system following a "virulent" attack by fraudsters. Criminals made multiple online applications using false and stolen identities and took advantage of limited checking of online applications. The losses identified to date amount to £15m, but Mr Varney told MPs that the Revenue was "still at a very early stage of knowing what the extent of this fraud is". But there is no evidence, as yet, that fighting the fraudsters is slowing the delivery of tax credits. Overall, though, the administration of tax credits has drawn the fire of Citizens Advice and the PAC. The chief complaints relate to tax credit overpayment, rather than fraud. Last September, the PAC said that tax credits have been routinely overpaid to 1.8 million claimants. The government has promised improvements to the tax credit system to curtail overpayment. But now it seems the Revenue has another fight on its hand, against the fraudsters.